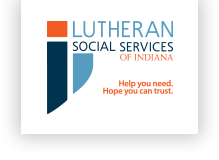 Lutheran Social Services works in partnership with several local churches around the area to ensure that our ministries intersect and that we support each other as we minister to the community. If you’re interested in learning more about our covenant-partner agreements, or would like a visit from our director of church relations, please contact Denny Herman (DHerman@lssin.org). View our Covenant Partner Agreement here. View our Guiding Principles and Statement of Faith here.